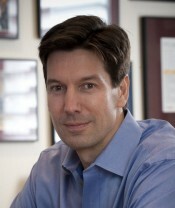 PowerShell.org > Articles > PowerScripting Podcast > Up Next: Mark Russinovich! 2013 Scripting Games Start April 22! This Thursday, April 18, we’re very, very excited to be having Mark Russinovich on the show! (What? I know, right?) For those of you who don't know who Mark is: you should be ashamed of yourselves! It's Mark Russinovich! He wrote filemon and regmon and the rest of the NTinternals aka Sysinternals utilities! He has his own Wikipedia article. Of course, he's been up to a lot of other cool stuff lately for Microsoft, and we'll get into that on the show, as well as see what he has to say about PowerShell.